Bourgas is a successor of the small Roman town of Deultum (later named Develt), founded by Emperor Vespasian as a military colony for veterans. Besides Deultum, the present-day city expands over the area of three other ancient settlements. In the Middle Ages a small fortress called Pirgos was erected in the place and was most probably used as a watchtower. It was only in 17th century that a town named Ahelo-Bourgas grew in the present-day area of the city. Bourgas is the fourth largest city in Bulgaria, situated in the south-eastern part of the country. The climate here is temperately continental with a distinct impact from the Black Sea. The Port of Bourgas is the biggest seaport in the country. 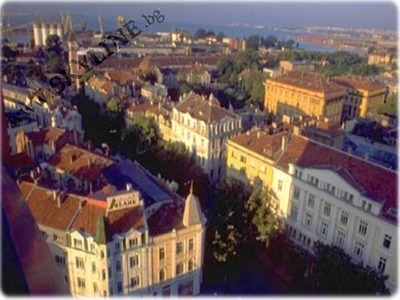 A Duty Free Zone was established in 1989 with the objective to create most attractive conditions for foreign investors. Bourgas is not only an important industrial center in the country, it has also considerable resources for tourism. What attracts people here mostly is undoubtedly the sea. The city is a starting point for visiting the seaside resorts in the area - The Slantchev Bryag resort (Sunny Beach) and The Elenite holiday village to the north and The Duni holiday village, renowned for its unique architectural composition, to the south. The District Museum of History, founded in 1925, is one of the most impressive tourist sights in the city. Today it houses an archaeological hall with a rich collection of items dating back to the old colonies along the Black Sea coast. The Ethnographic Museum is also of particular appeal to foreigners for its exhibitions of masks of koukeri, traditional costumes, ritual accessories, fabrics and embroidery. The Museum of Nature and Science contains more than 1,200 exhibits of insects and reptiles and more than 140 species of fish, plants growing in the district of Strandzha, protected and endemic species. Another such place is the Art Gallery, established in 1945 with halls exhibiting foreign and of Bulgarian artists' works, and icons painted by renowned Renaissance artists. Among the church buildings, one may wish to visit the St. Cyril and Methodius Cathedral, which raises near the marketplace. The cathedral is interesting for its marvelous frescos and wooden altar. А philharmonic hall, an opera house, a drama theatre and a puppet theater are hosted in beautiful buildings and function during the entire season. Away from the busy centre of the city, the shady Sea Garden is a lovely place to stroll in hot summer days. The park is situated on a hill next to the coast, and is rich in flowers, trees and sculptures. Within the park there is a casino, a small zoo and an open-air theatre, which houses the annual International Folklore Festival, and where participants in the Golden Orpheus Pop-Festival perform.